King Express Limousine bus To Sapa is quick to become a popular brand for coach service from Hanoi to Sapa. 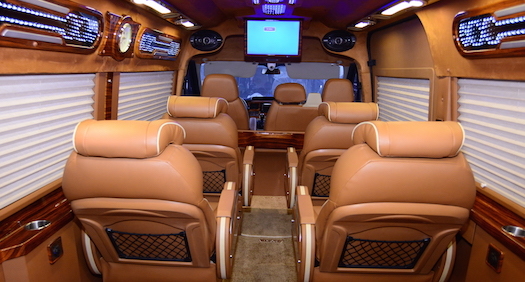 King Express uses 8 seater D-Car limousine with outstanding comfort and exceptional punctuality, guaranteeing guests an ideal transfer option from Hanoi to Sapa (drop off in Ta Van village is available for $5 extra). King Express offers a maximum of 8 luxury soft seats to create a spacious and airy space for customers. Offering luxury interior and modern amenities such as LED TV, Wi-Fi, electricity sockets, cup holder, transport insurance, to name a few. 0 Comment to "King Express Limousine bus To Sapa"